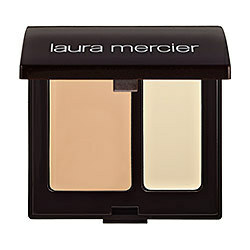 Now, let me first start off by saying I’m a huge fan of Laura Mercier products – but I’m not sure that her Secret Camouflage concealer is for me… I love the two shades that it comes with, but the texture isn’t that great for those who have fine lines/tired looking eyes. Even after you warm the product up with your finger it does not lay nicely on the skin without some sort of hydrating eye cream (applied before). I’m not sure if this is something that others have noticed with this product, but that is why I said I’m not sure if it’s for me. BUT, I will keep in mind that I’m going through some “eye issues” at the moment, so the first thing I am going to do is switch my night eyecream, then I will re-review this product! Do you have this product? What are your thoughts on it?